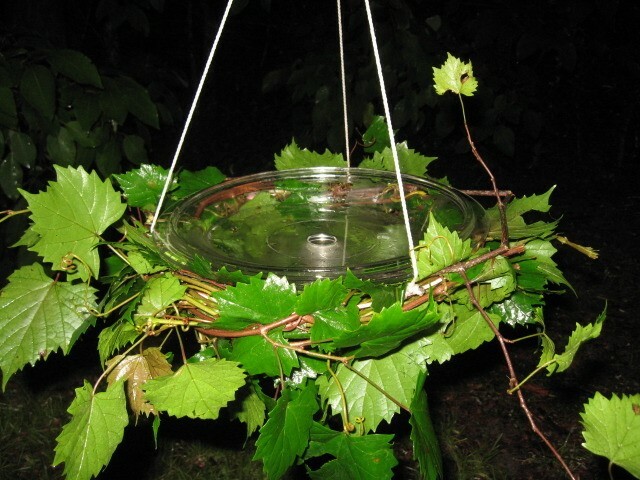 A birdfeeder (or birdbath) can be made easily using a large glass lid, a wire clothes hanger, some string, and grape vines. Cut off the hook on the hanger and then bend hanger into a circle. Place 18 inches of string in 3 equal places around the hanger, then tie them together securely into a strong knot. 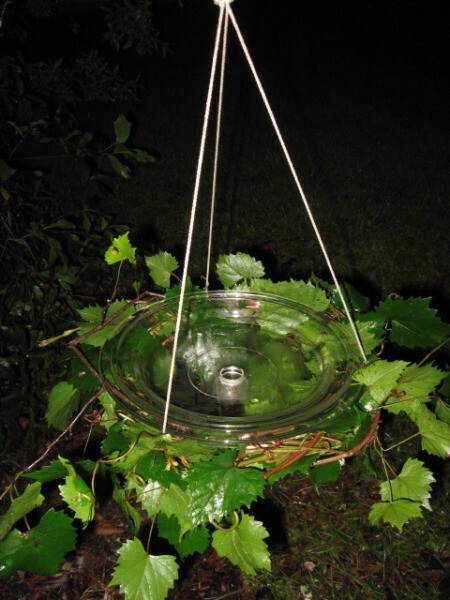 Decorate and cover the hanger with grape vines. Place the lid into the 'frame' you have made. Place bird seed (or water) into the lid. Hang on a shepherd's hook or a tree, and watch the birds appear! I think the bird feeder is a neat idea. It is also very pretty. I vote yes. I love this idea. I am going to make one and hang it near the hummingbird feeder. They love splashing in water and playing in the rain. We'll see what they think about their own private pool!